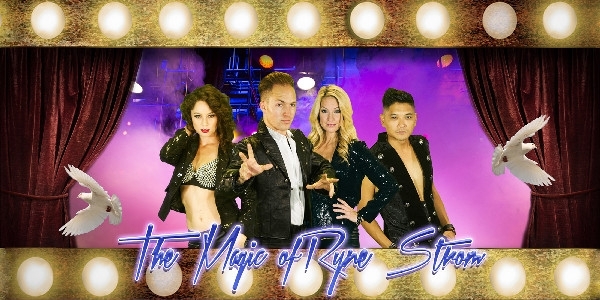 Performing professionally for the past 23 years, Ryne Strom has dazzled spectators performing across the globe from Hollywood to New York City all the way to the island of Saipan. Most currently, he could be seen on NBC, ABC Family, Fox, WGN, and countless stages across the country including the House of Blues. Strom has created routines and consulted for The Walt Disney Company, America's Got Talent, and the hit television show Pretty Little Liars, just to name a few. Strom was ‘bit by the magic bug’ at an early age. At a performance of the late legendary magician Harry Blackstone Jr, he was invited onstage to witness Blackstone vanish a birdcage from the tips of young audience members’ fingers. From that moment on, there was no turning back and all Strom could think about was magic. Ryne was inducted into the Society of American Magicians and International Brotherhood of Magicians by sponsors Terry Evanswood and Emmy Award winner, Marshall Brodien (known for his TV Magic Cards and his role as Wizzo on the Bozo Show). He is also a proud member of the International Magicians Society, Academy of Magical Arts and Kidabra, and the International Association of Family & Kid Show Performers. Ryne also attended Chavez Studio of Magic, the world’s most prestigious school for manual dexterity and prestidigitation. Tired of the typical magic shows produced today, Strom wanted to create a theatrical experience that set him apart from other magicians. 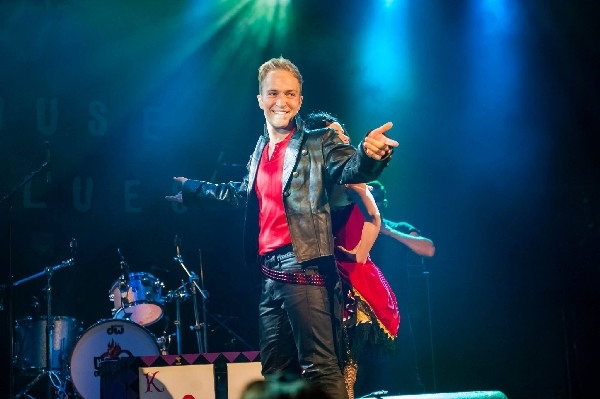 He combines illusions, acting, music, dancing, comedy, and audience participation to make up an unforgettable experience. His routines will make you laugh, tug on your heartstrings and leave you in complete awe. Ryne has spent his life building his show into the grand scale illusion show that it is today and will always enjoy watching his audiences transform into children for just a couple of magical hours.